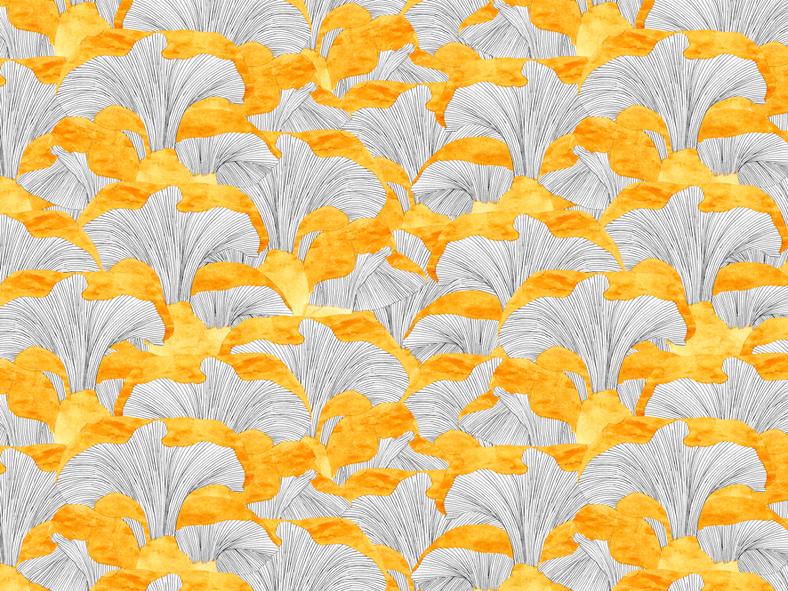 The chanterelle print was made by assignment for Femke Agema’s s/s 2014 collection “mould”. Femke’s collection is inspired by mushroom hunting into the deepest, darkest depths of the woods. Tiny universes flourishing with alluring shapes and colours waiting to be discovered. Find out more about Femke Agema and the “mould” collection here.